3-9 Slots, Forced Air, Heat Pipes, up to 500W. Other options available. 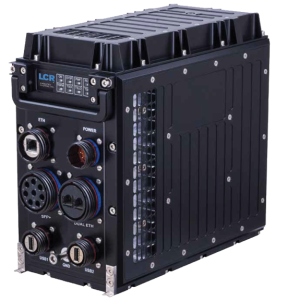 February 13, 2019 – Norristown, PA – LCR Embedded Systems is pleased to announce the availability of a new family of rugged, highly configurable 3U VPX chassis designed for compact aerospace and UAV applications requiring state-of-the-art power dissipation. 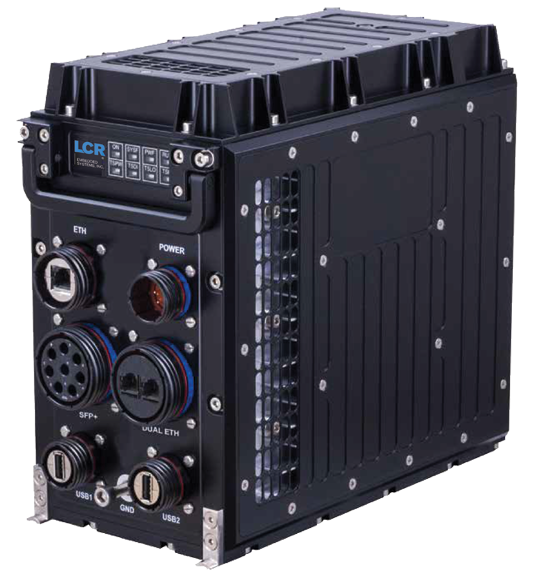 This family of chassis is ideal for advanced military applications with significant SWaP-C considerations that must operate in hostile environments and require a great deal of processing power. The enclosures have been qualified to MIL-STD-810 environmental and MIL-STD-461 electromagnetic compatibility requirements, making them an ideal solution for applications that demand significant processing power in the most punishing environments. The heat dissipation needed by high-performance cards is made possible by a variety of options including: hollow enclosure walls with heat exchangers, forced air, and heat pipes. Also available are completely sealed enclosures with internal fans that circulate air within the card cage, preventing “hot spots” and enabling the enclosures to function in highly contaminated environments. Three, 5, 6, 7, and 9-Slot versions are available, and all enclosures share the same general architecture, power supply, and front/rear panels, providing increased flexibility and a path to cost-effective upgrades to match changing application demands. CompactPCI and VME versions are also available for all chassis. Interested parties should contact sales@lcrembedded.com to learn more.